In her debut paranormal romance novel, Jenna Barwin’s Dark Wine at Midnight is overwhelmingly seductive with an aura of mystery and suspense. Enticing and surreptitious, Dark Wine at Midnight leaves readers completely speechless at the twists and turns Barwin takes us on this urban fantasy journey. Will Cerissa be able to uncover the secrets among the residents of the Sierra Escondida (a.k.a. The Hill) community? Can she trust Henry with her innermost secrets? Mystery, romance and intrigue mixed with vampires and wine, and a little something more. Dr. Cerissa Patel’s a scientist, not a secret agent. But when she’s ordered to spy on the winemaking vampires of Sierra Escondida, her flimsy cover story isn’t enough to fool scorching hot vampire Henry Bautista. He’s dark, dangerous, and will do anything to stop her from hurting his town. With the fate of humanity on the line, she must ignore her growing attraction to the secretive vampire and fight to uncover the truth before it’s too late. A little while ago, I was given the great pleasure of being asked to review an ARC (Advanced Readers Copy) on an urban fantasy vampire series. If you don’t already know, I’m a huge fan of supernatural and urban fantasy novels! So when I was asked to write a review, I obviously couldn’t say no. In order to respect the author’s wishes, I’m going to attempt limit spoiling any events, characters, etc. contained in the novel as much as possible. This review will simply layout what kind of content you should expect: the language, an underlining idea of the plotline, and the characters. So let’s begin with the language, shall we? Barwin’s Dark Wine at Midnight is highly descriptive, giving readers a full picture of the scene and the characters’ actions within it. While reading, I never felt uncertain of the landscape and layout of the scene appearing before me. Honestly, I felt like I was watching a movie. 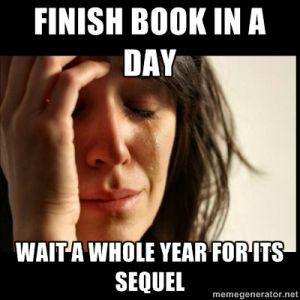 Due to the descriptive yet typically easy language used throughout the novel, I found myself nearing the end of the novel extremely fast – too fast for my liking since it’s always a sad moment when a book ends…oh the woes of bookworms. One issue regarding the language was that I found it at times overly descriptive, to the point where I began skimming some of the content. I really dislike skim reading – you end up missing small little details that later become immensely important. There were just moments of knowing too much of what the character was doing at that moment in time. Not only is the text fairly descriptive, but the story itself is rather intricate. At first, I thought the story was simply about a girl spy going undercover and eventually falling in love. Well, I was completely and utterly wrong! Dark Wine at Midnight has an amazing amount of layers and plot-lines to it! Barwin did a remarkable job divulging into a number of different stories and plot twists, eventually bringing them all together into one coherent story. It can be rather challenging to venture off into a wide amount of stories that focus on different characters throughout one story, though Barwin proves successful in this department. Who are the Lux? What’s happening in the vampire community? What happened to Henry in his early years in the community? It was excruciatingly frustrating for the novel’s exceedingly descriptive regarding setting and characters yet not in what in the bloody blazes is going on! Eventually, I realized Barwin did this deliberately; she reveals later on in the story many of the questions that began to pile up. So don’t worry, you’ll know the answers eventually. Obviously not all – this is a series after all. You’ll just have to patiently wait for the sequel. The surreal thing for me is that this book has a few steamy scenes and a number of minor flirtatious interactions throughout the entire novel…and it didn’t bother me. I’m really not a fan of reading novels with sultry, seductive love scenes in it. With Dark Wine at Midnight, I actually felt it was both well done and necessary. The romantic, sensual scenes really made sense with the story and characters. Barwin also did an excellent job with not letting these parts of the novel take away from the overall story, remaining focused on the main plot-line. Additionally, the language used to describe these scenes wasn’t awful…Time and time again, I find a number of authors write provocative scenes in the most atrocious manner that I can’t help but gag or laugh at it. This felt different; it felt more realistic and truthful without going overboard. Dark Wine at Midnight is fairly linear and draws upon a number of different stories, while still being able to keep the reader focused in and alert of what’s happening…but not all the time. There were a number of times I was frustrated to the point I had to take a break…I was extremely confused with the world in which this story is set in, such as knowing the human involvement and more about these vampire communities. Even though we’re introduced to this later on, I would’ve preferred knowing some facts earlier in the book. There were points that I had to re-read some of the older chapters after I gained certain knowledge, simply in order to make a better understanding of what was happening at that time and that specific situation. I also wished there was more dialogue, for the novel focuses a lot on a characters’ thoughts and what they’re doing specifically at that moment. For those who really enjoy romantic novels with a mix of sultry, seductive scenes – you really should read this. For those who don’t, I would still give it a chance! Mystery, thriller, action…these all await for your entertainment in Barwin’s Dark Wine at Midnight!